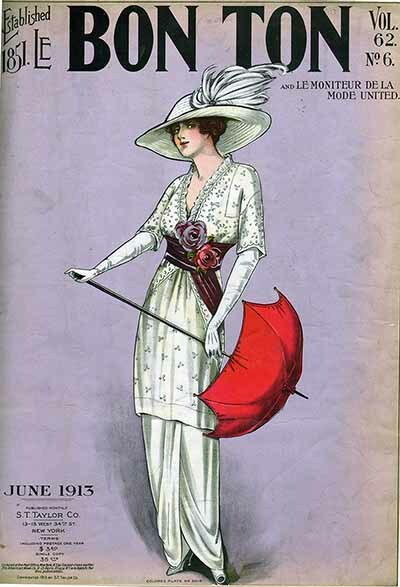 This dress has had a few incarnations. It started life in 1989 as a periwinkle blue silk habotai dress with white bobbin lace trim, my very first vintage ball gown, made in 6 days. 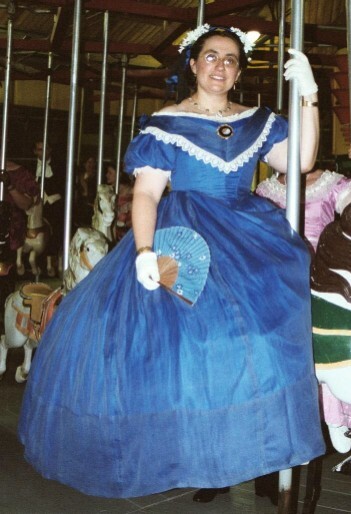 Later I made a grey shot silk taffeta bodice and overskirt to wear over the blue skirt. The trim is royal blue pleated silk satin, elaborately pleated in a design taken from Harper’s Bazar. 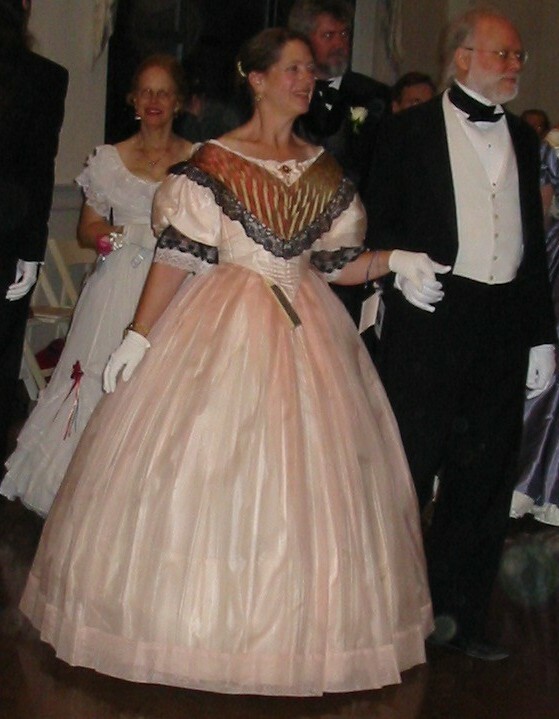 Nahant Victorian Day Ball in the early 1990s. 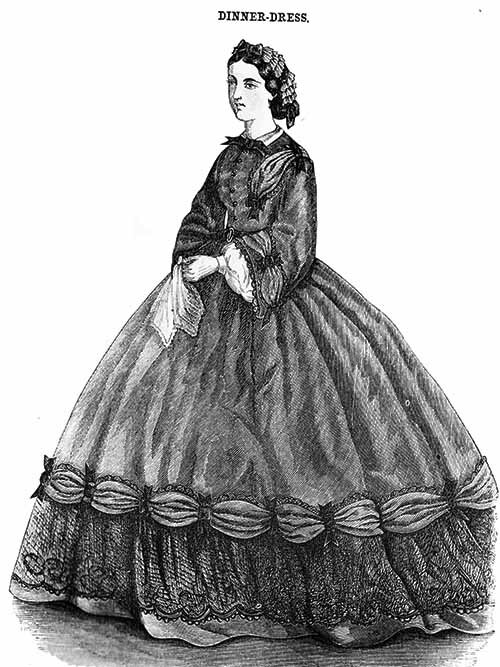 Dress of silk blend plaid, silk pongee underdress, goldenrod mop fringe, cotton net and bobbin lace undersleeves. 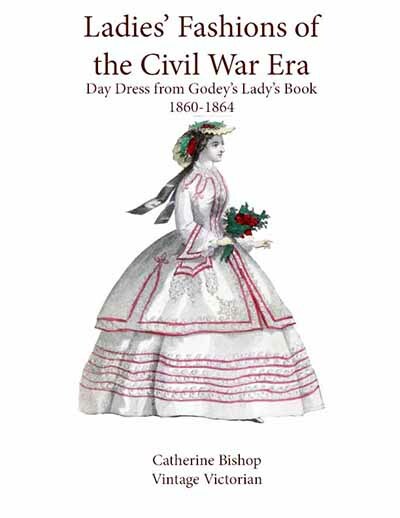 This dress was inspired by a dress from the Cincinnati Art Museum Costume Collection. The flounces are made of upholstery silk, in a woven plaid. It dances wonderfully. Some day I hope to make (or find) striped fringe to edge all of the flounces. 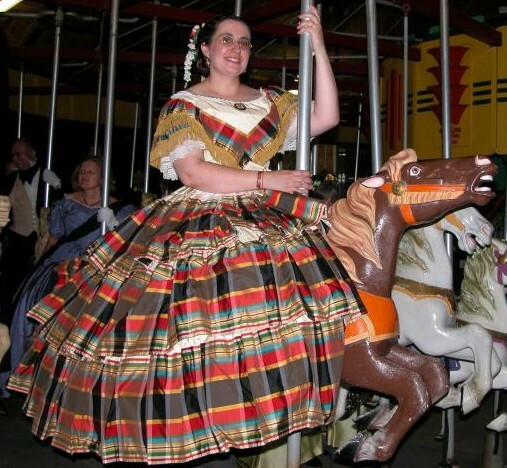 Please note the importance of having your horse match your gown. 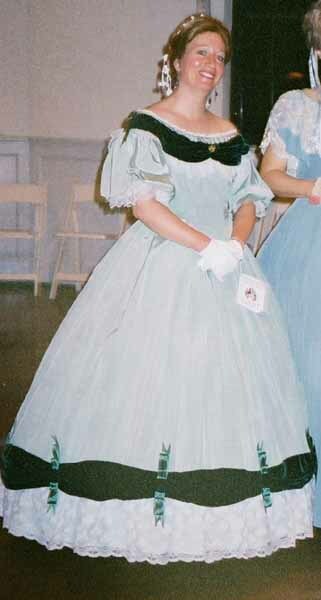 This photograph was taken at the Newport Vintage Dance Week in 2003. Dress of midnight blue silk organza over royal blue silk habotai, embroidered organza trim. 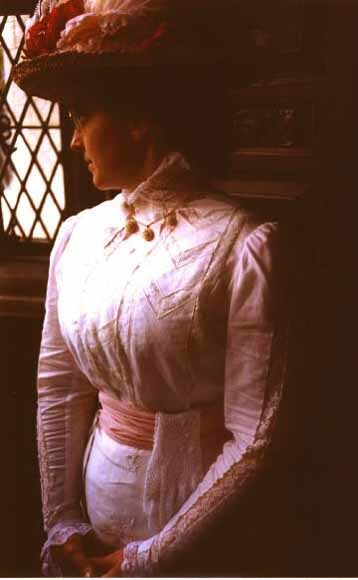 This dress was created for the PBS American Experience show Grant for my portrayal of Mrs. Grant at a formal dinner. Unfortunately all of my scenes ended up on the cutting room floor--except for a few bits with just my hands. This photograph was taken at a Newport Vintage Dance Week. Dress of green silk organza over green silk habotai, custom dyed. 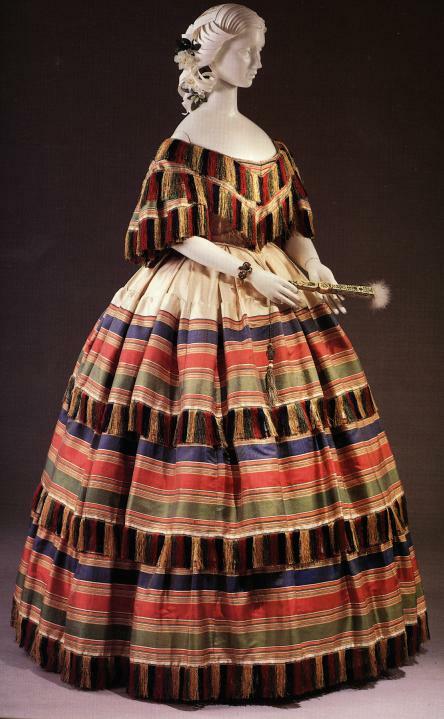 This dress was made for Hannelore Unfried, a dance teacher and historian from Vienna, Austria. 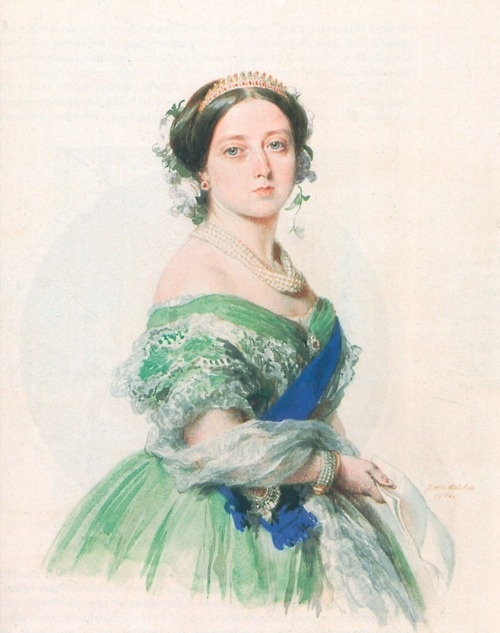 The color and style was inspired by a small watercolor painting of Queen Victoria by Winterhalter. This picture of Hannelore was taken at the Vienna Vintage Dance Week in 2005. 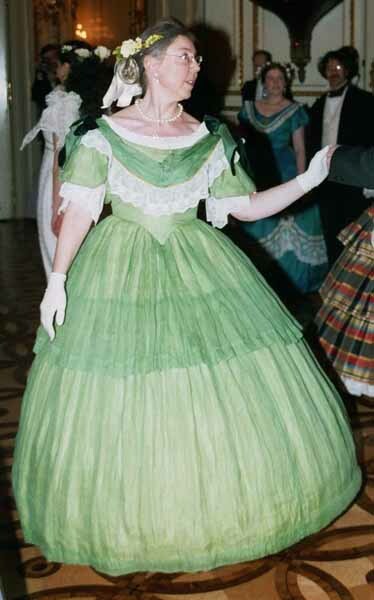 Dress of pale green bengaline with dark green silk/rayon velvet trim and white lace. 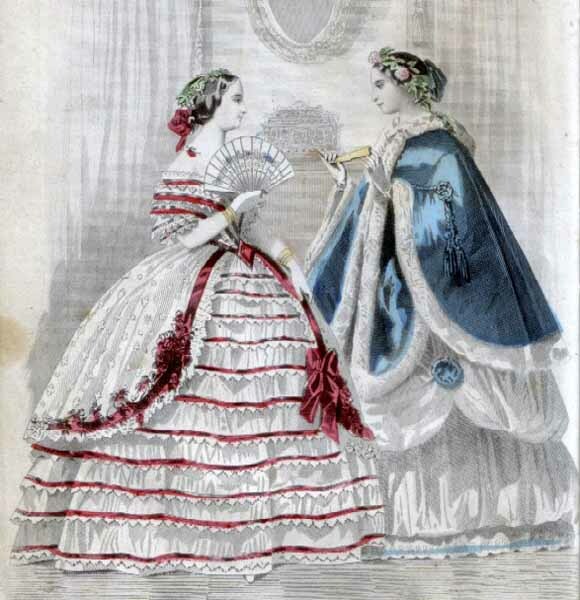 The trim design was inspired by a fashion plate in Godey’s Lady’s Book from September 1863. 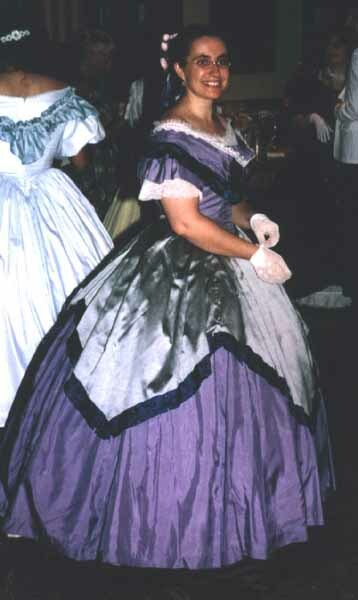 This photograph was taken at The Rotunda Ballroom, Newport, RI during the 2004 Newport Vintage Dance Week; the dancer is Idy. Dress of peach silk organza over cream striped silk taffeta, striped silk brocade berthe, black and white lace trim. 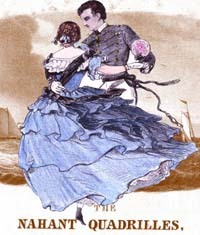 This photograph was taken at The Rotunda Ballroom, Newport, RI during the 2006 Newport Vintage Dance Week; the dancer is Gail. 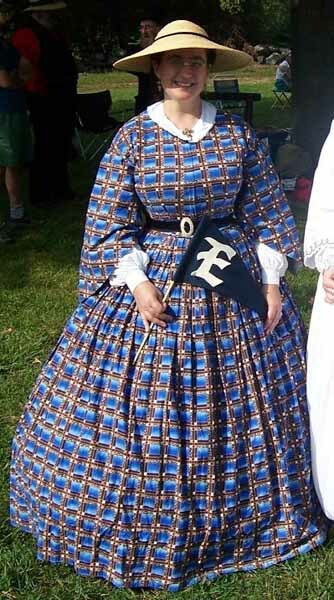 Dress of printed cotton calico, blue and brown windowpane print, reproduction fabric from South Seas Imports Historical Line; collar of cotton with Valenciennes lace trim, undersleeves of cotton voile with broderie anglais cuffs. This photo was taken at a vintage base-ball game in Massachusetts in September 2004, the “E” pennant is for the Essex Base-Ball club.